The nature and implications of an environmental career have evolved significantly over the past decade, and understanding the realities of an environmental professional’s work is increasingly important for all sectors of the economy. Myth 1: Working in the environment means having to work outdoors all the time. While outdoor fieldwork can often be part of the job description, most environmental careers involve work in a variety of different environments. Working “outdoors” may refer to anything from observing animals in the forest to collecting water samples from the ocean to monitoring levels at an active volcano. However, environmental work can take you indoors as well. Analysis-based positions such as Laboratory Assessors and Environmental Chemists spend a considerable amount of time in the lab where they record data, conduct experiments, and test samples using highly sophisticated technology and equipment. Environmental positions with an emphasis on communications and protocol, like Environmental Reporters, are often responsible for meeting with consultants and developing marketing materials in a corporate setting. Other responsibilities of an environmental professional may include travel to attend networking events or conferences, giving presentations on research findings, and corresponding on the phone and in meetings with clients, governments, and the public. There are few environmental careers that are restricted solely to either outdoor fieldwork or indoor office work—positions often include components of both. Myth 2: You have to be an “environmentalist” to work in the environment. Although the nature of environmental work is often clouded by political controversy over issues such as global warming, many environmental careers are actually rooted in practical fields that include assessment, evaluation, and reporting. The media often portrays environmental professionals as a very narrow sector of the workforce, focused mostly on conserving nature and fighting pollution. In reality, there are a wide range of roles available to those in environmental positions. Only 36% of environmental professionals actually work in the environment industry; 29% work in other industries, with the balance (35%) employed in the public sector, NGOs, and associations (Environmental Labour Market Report, ECO Canada, 2004). Many of these environmental careers can be based in unexpected industries. For example, environmental engineering is an area that is in high demand that involves planning, designing, and supervising industrial processes. 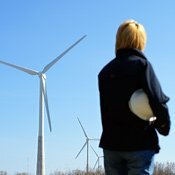 Environmental engineers deal with a variety of fields, from site remediation to regulation compliance, and are found in such industries as pulp and paper, oil and gas, and manufacturing. Myth 3: Everyone knows what a “green job” is. Although the term “green job” is commonly used today in everything from newscasts to magazine articles, there is in fact no standard or universal definition of what “green job” actually means. Every government, group and organization that talks about green jobs may have their own definition of what it means to be green. For example, the United Nations Environment Programme defines a “green job” as “work in agriculture, industry, services, and administration that contributes to preserving or restoring the quality of the environment” (UN Environment Programme, Green Jobs: Towards decent work in a sustainable, low-carbon world, 2008). Inputs, outputs, and long-term goals are all variable factors in the many existing definitions of a green job. Moreover, many jobs that may be green in principle are not necessarily green in practice. Myth 4: Environmental work is a passion, not a profession. An environmental career offers professionals the best of both worlds by enabling them to transform their passion into their profession. The environment industry is a real business where money can be made, stocks are traded, suits are worn, and conferences are held. Although some may see the environmental sector as a cause rather than as a viable business with potential for profit, this could not be farther from the truth. With sales valued at roughly $18.4 billion, the environmental market in Canada consists of over 8,500 firms generating environmental exports currently worth more than $1.5 billion per year. Small firms with fewer than 100 employees make up 96% of the country’s environmental companies (Environment Industry Survey, Statistics Canada, Environment Accounts and Statistics Division, 2004). The environment industry is one of the most rapidly growing sectors in the Canadian economy and shows little sign of slowing down, contributing to an increased demand for skilled environmental workers. Growth estimates for the environmental sector range from a low of 4.5% to a high of 8% per year through to 2020, which is roughly twice the rate that traditional jobs in Canada are growing at (Canadian Environmental Sector Trends, ECO Canada, 2010). Studies have shown that environmental professionals are highly motivated to pursue continuing education—73% have completed either a Bachelor’s or Master’s degree. Additionally, environmental professionals have been found to be highly loyal to their employers, with 93% stating that they are willing to go above and beyond normal job requirements to help achieve the organization’s goals. It is clear that the environmental workforce benefits from the passions its professionals bring to the table. Myth 5: Formal education and experience is less important in the environment industry. Contrary to what some may believe, the professional standards for environmental positions are equally as important in the environmental sector as in other sectors. Most environmental professionals are highly educated, with educational backgrounds ranging from undergraduate degrees to doctorates. Additionally, many environmental professionals are members of one or more field-specific associations (e.g., the Canadian Meteorological Oceanographic Society (CMOS), the Canadian Association of Geographers (CAG), etc.) and some receive training and certification in areas such as wilderness travel or mountaineering. Some professions require licensing and registration with a regional authority before practice is even allowed. As a result, more and more post-secondary institutions are offering specific environmentally focused programs, such as Royal Roads University’s Master in Environmental Practice. Formal recognition of environmental qualifications is also becoming increasingly important for environmental professionals. Certifications and designations are becoming more prevalent among environmental professionals as a way to formally acknowledge and credit environmental education and experience in the field. This is crucial to the environmental sector where green-washing makes it difficult to separate the self-proclaimed experts from the real ones. 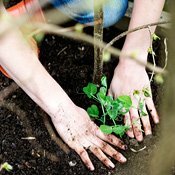 Environmental Professional (EP) certification is the leading designation of its kind in Canada to provide environmental professionals with formal recognition of their unique skills and competencies. What are some other misconceptions about the environmental sector, or your job in particular? Before starting my studies I thought working in the Environmental field would consist of mostly scientific material, I learned that there are many jobs in the field that are not just science based.